I turns out that Facebook has stored more than a hundred million passwords as a pure text file. Anyone who got access to this file could have gotten hold of these passwords. That’s why you must change your password, immediately. Yes, it might be a drag. But remember: You’re not the only affected by someone else getting access to your Facebook account. When someone gets access, they can read all your private conversations and see any files or photos you might have shared via Messenger. Fill in your old password in the field Current. Then type your new password in New and then repeat it in Retype new. When you’re finished, click Save Changes (if you’ve forgotten your password, click the link Forgotten your password? and follow the instructions). 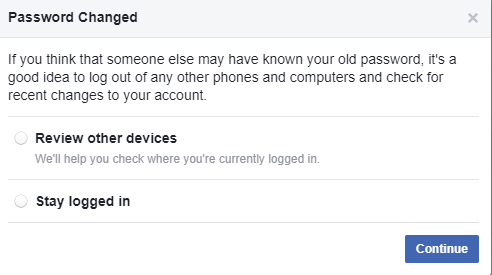 You must now ask Facebook to log out from all other places or devices where you are connected to Facebook. Please, do this! Choose Review other devices and click Continue. 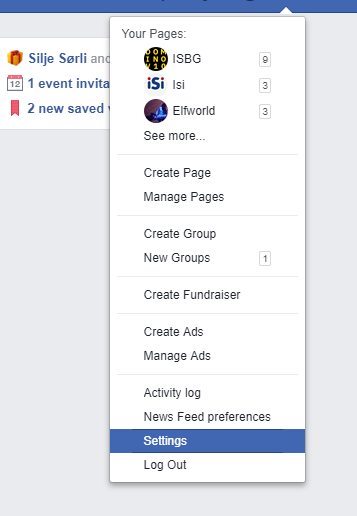 The list will now be empty, and only the PC/Mac you are connected to right now will be listed. Please ask in the comments section if you have any problems.